If I were a betting man, I’d bet on LinkedIn going public some time in 2011. But I’m not, so I’ll just share with you that the social networking service provider has been significantly beefing up its board of directors this year. Case in point: this morning, LinkedIn announced the appointment of its seventh board member, Stan Meresman. We’ll forgive you if that name doesn’t ring any bells with you immediately, but suffice to say this is a man with heaps of experience serving on boards of and advising public tech companies under his belt. In addition to LinkedIn, Meresman is a board member at Riverbed Technology, Meru Networks and HyTrust. 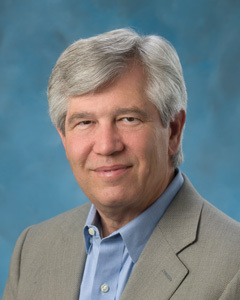 Previously, Meresman served on the boards of directors at Polycom, VMware, Starfish Software and Lightsurf, as well as an advisor to Silicon Image, Inktomi and Real Networks. Meresman also has management experience, having served as SVP and CFO of Silicon Graphics from 1989 to 1997, before shifting his attention to investing. LinkedIn in a statement says it decided to expand its board for the third time this year as its membership and operations continue to scale globally – it now boasts 80 million members around the world – and as a way to “position itself for long-term growth”. And readying a public offering in the next 12 months, I’d wager. Last May, LinkedIn added Netflix CMO Leslie Kilgore to its board, and a month later expanded it again with the appointment of former Ask.com CEO George “Skip” Battle. Meresman marks the third outsider to join the IPO candidate’s board of directors in a matter of months. The four others are founder and former CEO Reid Hoffman, current CEO Jeff Weiner, Greylock’s David Sze and Sequoia’s Marc Kvamme.